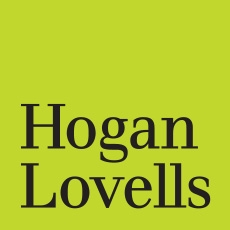 While the Examination Division and the Board of Appeal found that the application was not capable of indicating commercial origin (and as such was non-distinctive), the General Court (GC) took a different view. Pursuant to Article 7(1)(b) EUTMR, a trade mark which is entirely devoid of distinctive character cannot be registered. In relation to shape marks, it is settled case-law that the trade mark needs to depart significantly from the norms and customs of the sector to be distinctive. As a starting point, the GC took into account that in the food sector, the average consumer was quite capable of perceiving the shape of the packaging of the goods concerned as an indication of their commercial origin, in so far as that shape presents characteristics which are sufficient to hold the consumer’s attention. Secondly, the GC found that the combination of the trade mark’s elements rendered it distinctive as a whole and distinguished it from other bottles available on the market. The reason for this was that the lower part of the bottle was clearly tapered in comparison with the upper part and is pointed. Moreover, the bottle has a spout which can be closed with a glass lid and a conspicuously pronounced bulge in its upper part. The GC regarded these elements as extraordinary and found that they gave the application a particular appearance. It concluded that consumers were not accustomed to containers which had a strikingly curved shape in the centre and that the appearance of the application differed from that of classical amphorae. 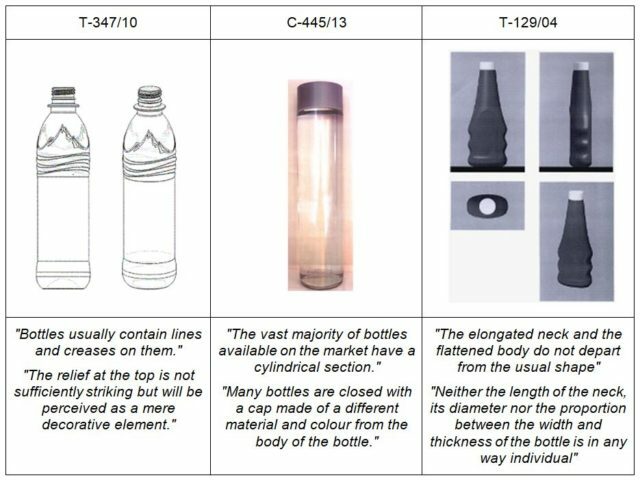 There is already a fairly large volume of case-law on the distinctiveness of bottle-shape trade marks. Because of its outcome, the current judgment may be seen as a suprise. However, in comparison to the characteristics of the above marks, the elements of the application (the bulge, the pointed lower part) are very uncommon. Additionally, due to its pointed lower part, the bottle does not seem to be capable of standing on its own. Consequently, it would require a holder of some sort. As such, the bottle ‘stands out’. Additionally, it is not so obvious what kind of goods would be filled in the bottle (‘Oils’ ? Or ‘Alcoholic beverages, except beers’ ?). This decision is definitely good news for shape mark owners. The recent case-law might have given the impression that shape marks consisting of the depiction of a bottle were per se non-distinctive, which is not the case. Moreover, the judgment can also be read as having a broader impact on owners of other non-traditional marks, such as colour and position marks: The General Court applied the relevant test and examined the Application carefully, also bearing in mind the relevant sector and the relevant public’s perception habits. As already outlined in a previous article (here), the EUIPO’s practice tends towards only accepting colour marks based on acquired distinctiveness. The judgment may be seen as an encouragement to the EUIPO to avoid rash decisions on the lack of inherent distinctiveness and rather appreciate the respective industry sector as well as the perception habits of the relevant consumers.